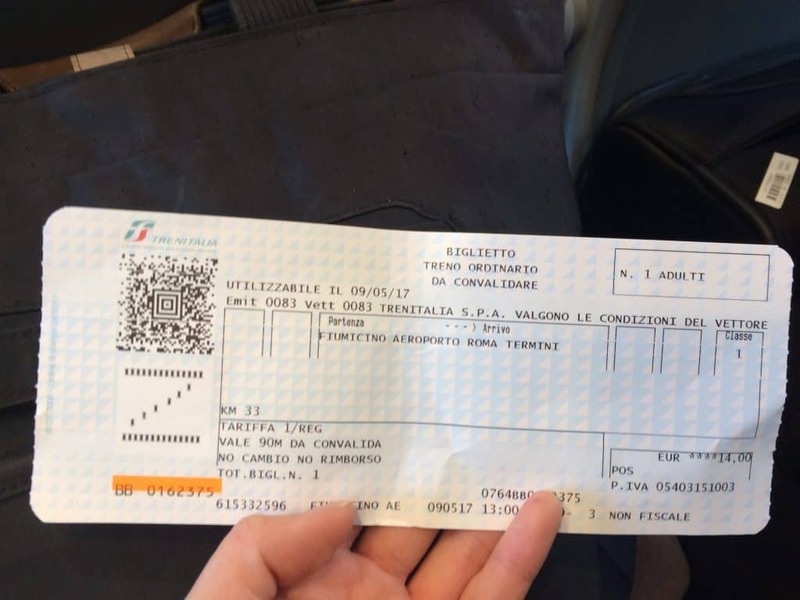 On my trip to Italy last year, I needed to get from the Fiumicino Airport in Rome to the Roma Termini train station and then take the train to Fabriano. 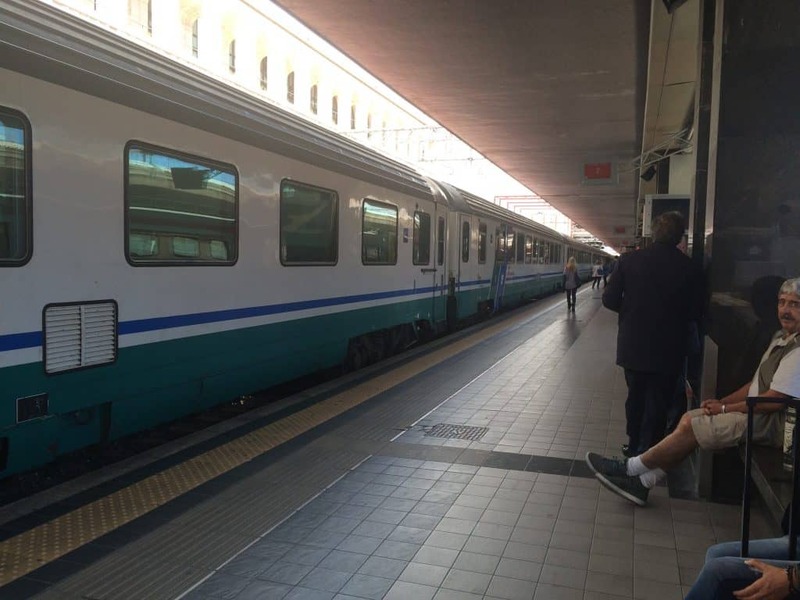 I researched extensively on how to take the Leonardo Express airport train from Fiumicino to Roma Termini, but still had MANY questions when I landed. 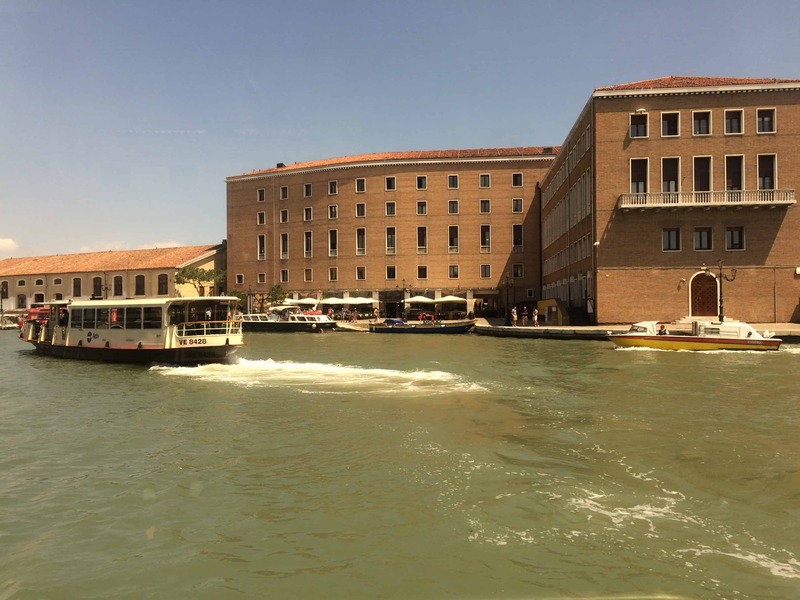 I wanted to give you a complete and thorough guide answering all your questions about the Leonardo Express airport train so that your trip will go smoothly. This is the guide I wish I’d had! What is the Leonardo Express Airport Train? 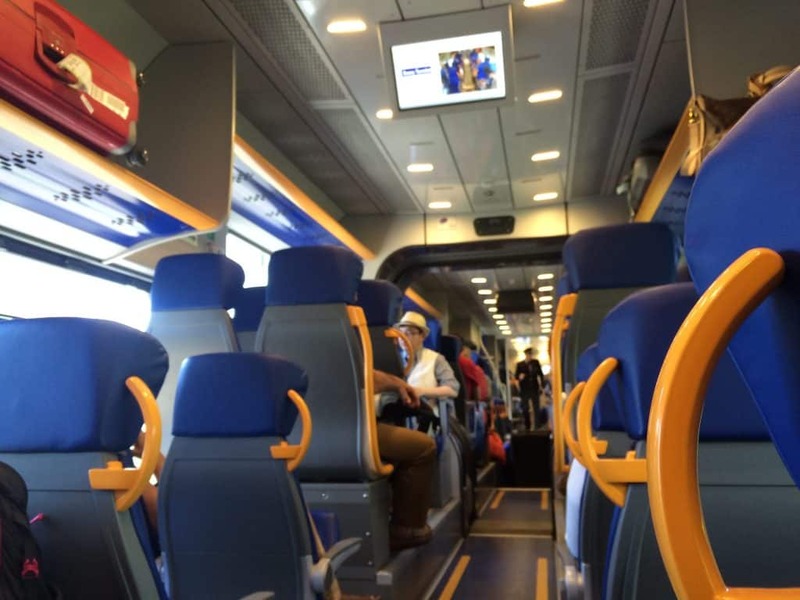 The Leonardo Da Vinci Express Train is a non-stop train connecting the Rome Fiumicino Airport to the Roma Termini train station (a major hub for train service in Italy). At Fiumicino Airport: 6:23 a.m – 11:23 p.m.
At Roma Termini: 5:35 a.m. – 10:35 p.m. Step 3: Choose your Leonardo Express train time. DO NOT choose Regionale. Step 4: Click “Choose” to add that ticket to your cart. Step 5: Enter your contact info and payment method and check out! At the Fiumicino Airport station at a booth with employees.This is the way I chose to buy my Leonard Express train ticket. The employee spoke English. I think if you buy through the booth you DO NOT HAVE TO VALIDATE your ticket. But, if you want to be sure, you can always ask. 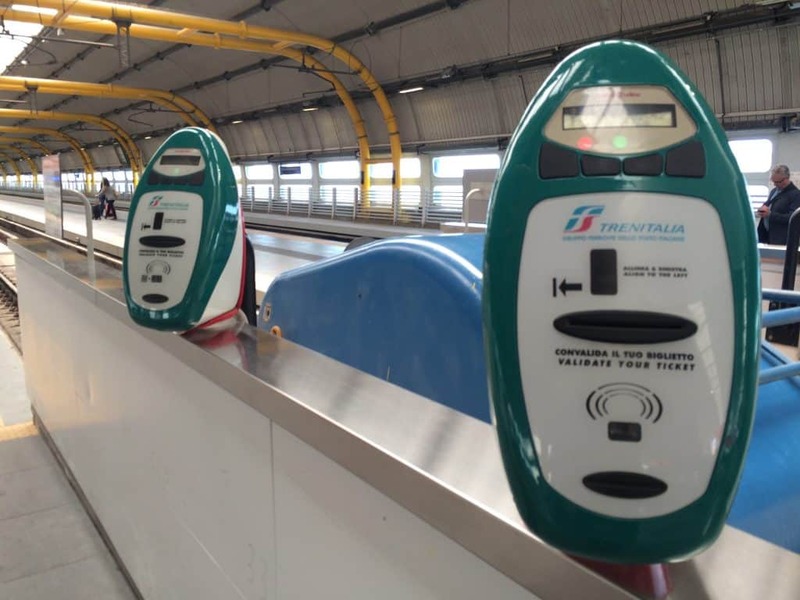 At the Fiumicino Airport through a ticket machine.There are automated ticket machines inside the train station at Fiumicino Airport. I didn’t choose to do this because I didn’t want to get confused. If you buy from the ticket machine, YOU MUST VALIDATE YOUR TICKET before boarding the train. This is what the ticket validator machine looks like:You just stick the end of your ticket into the slot. It will make a clicking sound. 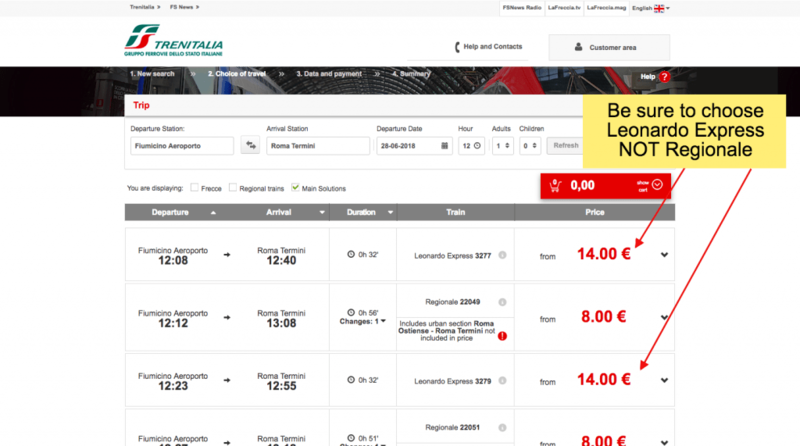 How much do Leonardo Express train tickets cost? A single ticket (valid for one-way) is 14 Euros. 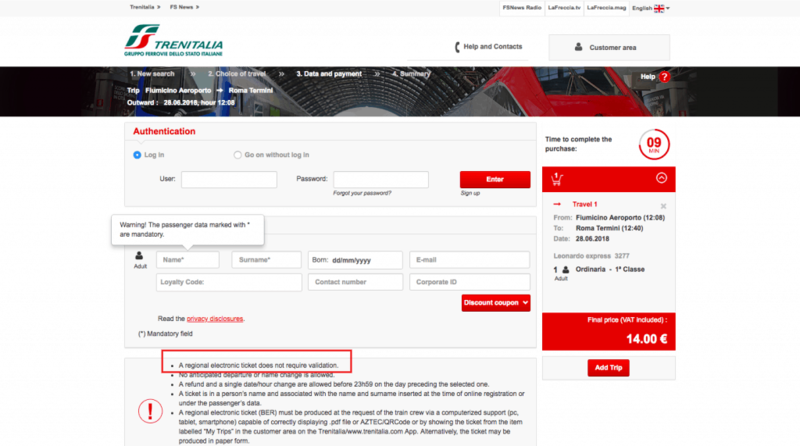 Do I need to validate my Leonardo Express train ticket??? Most likely. BUT if you buy your ticket online, you DO NOT need to validate it. It is already validate it, and you just show your ticket on your mobile device. I’ll explain more below, but you’re at all confused, simply ask an employee at the train station. I landed in Rome Fiumicino airport straight from the U.S. (I had a direct flight from MIA). Assuming you’re arriving from an international flight, you get off the plane and you walk for a long time through the terminal until you see Passport Control to your right. EU and (I think) Chinese passport holders have to go to the left. 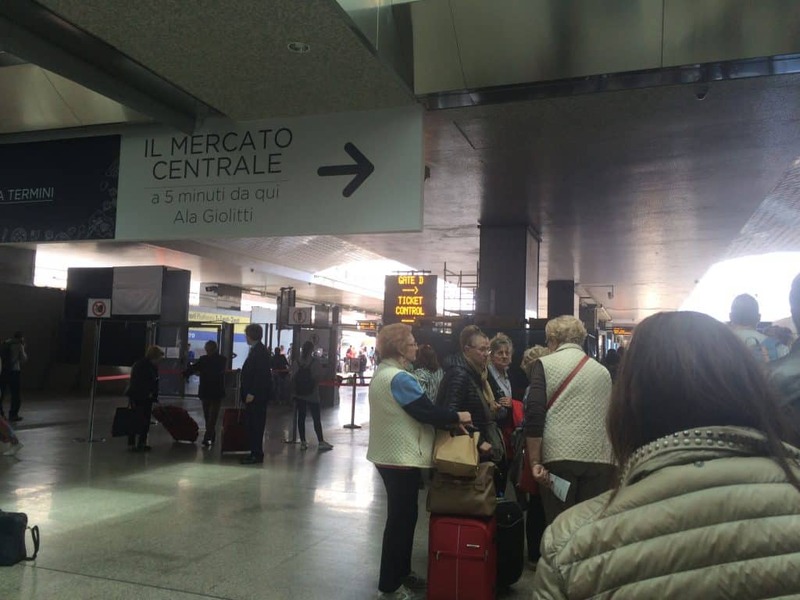 All other passport holders (the sign says “tutti i passaporti”) follow the yellow line on the ground to the right. It was very quick. They only wanted my passport and I think I also handed him my flight ticket stub. He scanned it, looked at the computer, then flipped through my passport pages before landing on one he decided to stamp. After that, there is Baggage Claim. You can choose to go to Customs if you have something to declare. There are specific signs showing where you should exit depending on which country you’re from and if you have anything to declare. From there, follow the yellow sign that says “Trains.” You DO have to go out the Customs doors, but DO NOT go outside the airport. You’ll be in the last area before you exit the airport completely. Then, go right and follow the yellow Train signs. You will reach the escalators and stairs. Take those escalators up. Then up again. Then you’ll be in the station. You can buy your Leonardo Express ticket at the booth with employees or at the automated machine. I chose the booth. The ticket is good for 90 minutes from the moment you purchase it or validate it, so take whichever train comes next. If you miss it, remember the next one comes in 15 minutes. Now, here’s the important thing, everyone says “BE SURE TO VALIDATE YOUR TICKET” and there are TWO different machines. One is the turnstile where you just scan the barcode on your ticket to even be able to enter the platform. The much-discussed ticket validator machines! These two were AFTER the turnstiles where I scanned my ticket to get onto the Leonardo Express train. 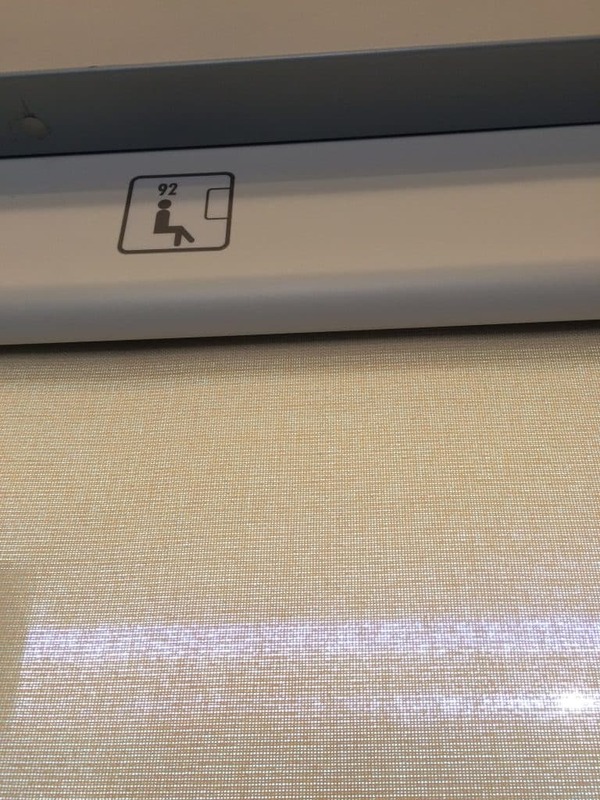 You stick your ticket end into the slot. IF you buy a ticket from the booth you do NOT have to do anything with these validator machines. You have ALREADY validated it when you scanned it to enter the platform. A fellow American and I checked with the inspector BEFORE boarding the train and he confirmed “just scan it.” We passed inspection on the train too! ? If you’re worried, you can go ahead and stick your ticket into the slot on the green validator machine. You can also check with the inspector before you board the train. 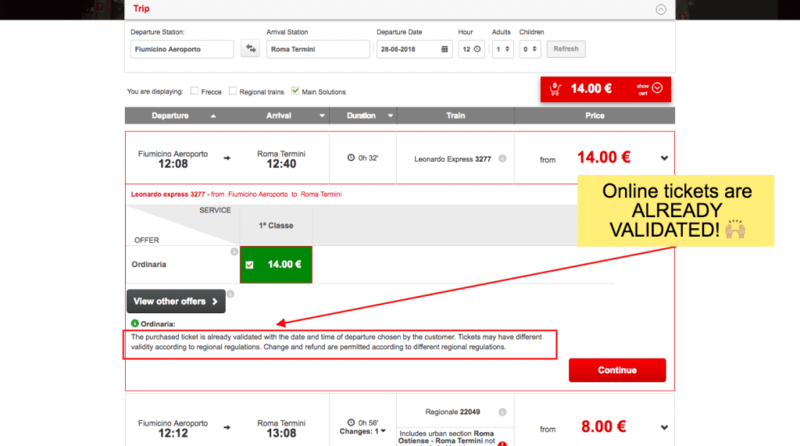 Remember, if you need to validate your ticket but you fail to do so, you can be fined 50 Euros when the inspector checks your ticket onboard. And yes, they will check. Anyway, after you scan and/or validate your ticket, you just board the train and pick a seat. All of the train is First Class and there are no assigned seats. Inside the Leonardo Express airport train. You can sit anywhere you’d like! There are no assigned seats. There are racks up high for you to put luggage, but my backpack and messenger bag fit between my feet and the seat in front of me. The train is nonstop to Roma Termini so you can’t mess up. It does slow down at another station, but don’t let this confuse you. It won’t stop there. When you get off, you can exit the platform to the area where there are shops and cafes. If you keep walking straight till you are outside you will find the taxi stand. Walk left, all the way down until you get to the front of the line of white taxis. There should be a very official man standing at the front in uniform directing passengers to taxis. DO NOT stop for anyone else! Others will try to solicit you, but wait till you get to the front with the official guy and let him place you with a driver. Roma Termini has a nice cafe on the second floor called Momento. Only Italians were in there when I went. It’s mostly coffee, but they do have a display case with pastries and fruit. They also have a case with water. 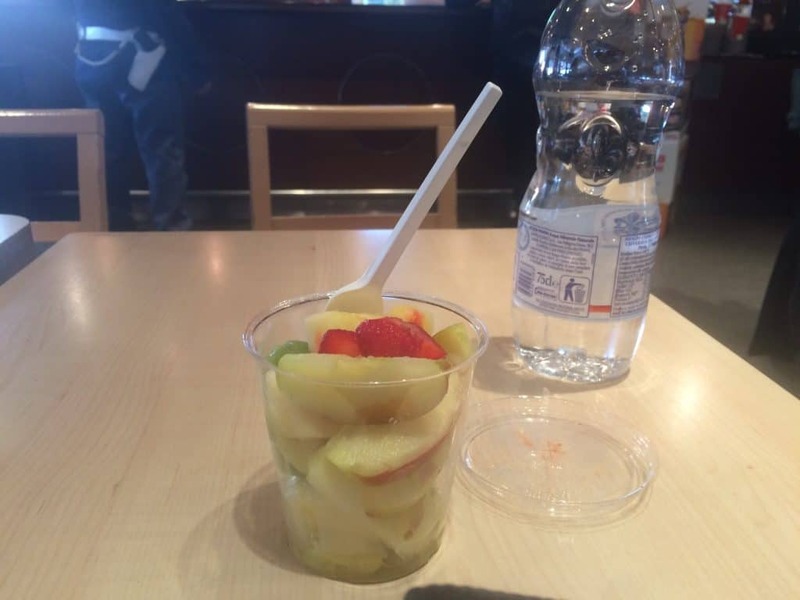 I got a bottle of water and a cup of mixed fruit and was able to sit down and wait for my train. 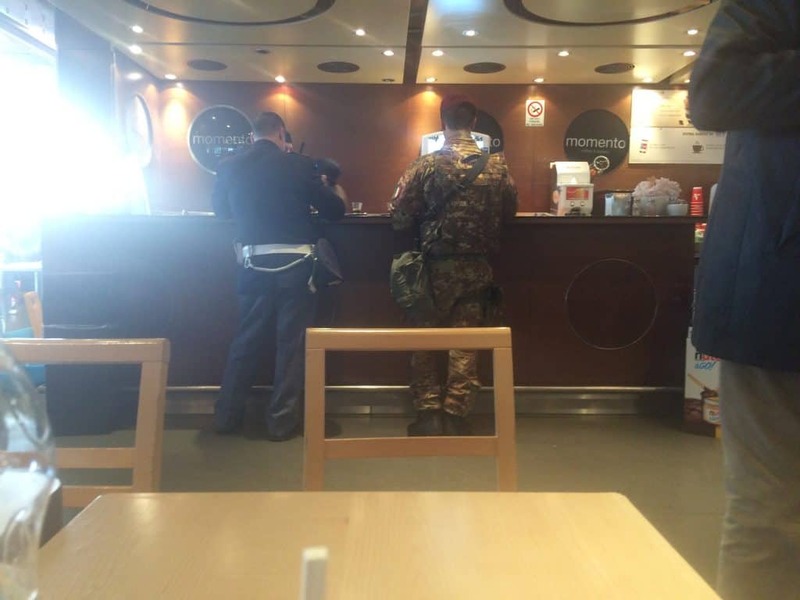 Also, this is the most Italian thing I saw there: A police officer and member of the military walked into the cafe and took shots of espresso before walking out again. Look at the Departures board for your train. You can look by number or by final destination city. Then look to the right of the train. There should be an assigned platform number. Enter the line nearest to that platform number. Platform 1 starts to your left and goes all the way up to 20-something at the end on the right. You can glance inside and see the platform numbers. Then you have to show your ticket to the people at the gate to be let into the platform. I showed the barcode/mobile ticket on my iPhone. They just glance at it, and you keep walking through. The train was already at the platform when I got there around 3 p.m. Departure was at 3:35 p.m. We weren’t allowed to board until about 3:20. The train took off at 3:38. It was easy to find my seat and car. On the upper part of the platform, there are red signs indicating the number of the coach. I was coach 2 at the front seat 92. The seat numbers are indicated by the signs at the tops of the seats. The ticket inspector will likely come by shortly after the start of the journey so be sure to know where your ticket is. 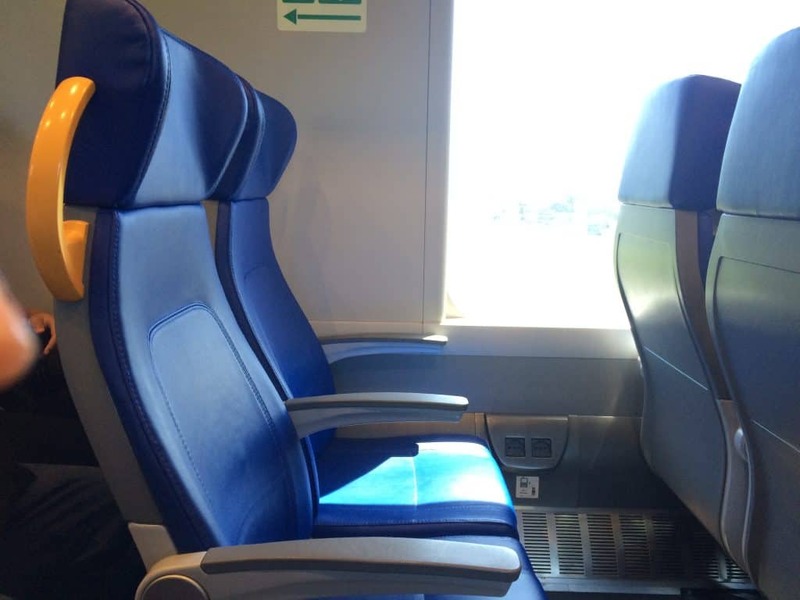 When I took the Leonardo Express train to Roma Termini, I was traveling alone. As a solo female traveler, I’m always cautious about safety. 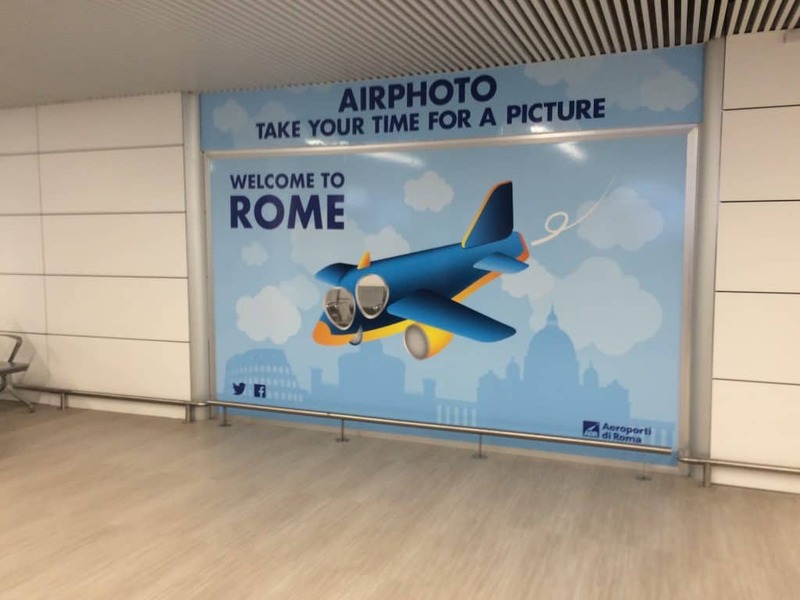 I had read horror stories on travel forums about muggings at Roma Termini; I was convinced I would be mugged and was extremely anxious about my layover in Roma Termini. Basically, everything went FINE at Roma Termini and no, I was not mugged. It is a very busy train station, and yes, you do need to remain alert. There are police patrolling it so that made me feel better. My biggest piece of advice would be this: IF you are taking a taxi from Roma Termini, BE CAREFUL! I walked with a fellow solo female traveler to the taxi stand, and she was immediately accosted by this man who insisted he had a taxi for her. But, to our left, there was a very official looking man in government uniform and travelers were standing in line awaiting a taxi by him. So yes, I think the man that accosted her was trying to scam her. Otherwise, just enjoy your trip! 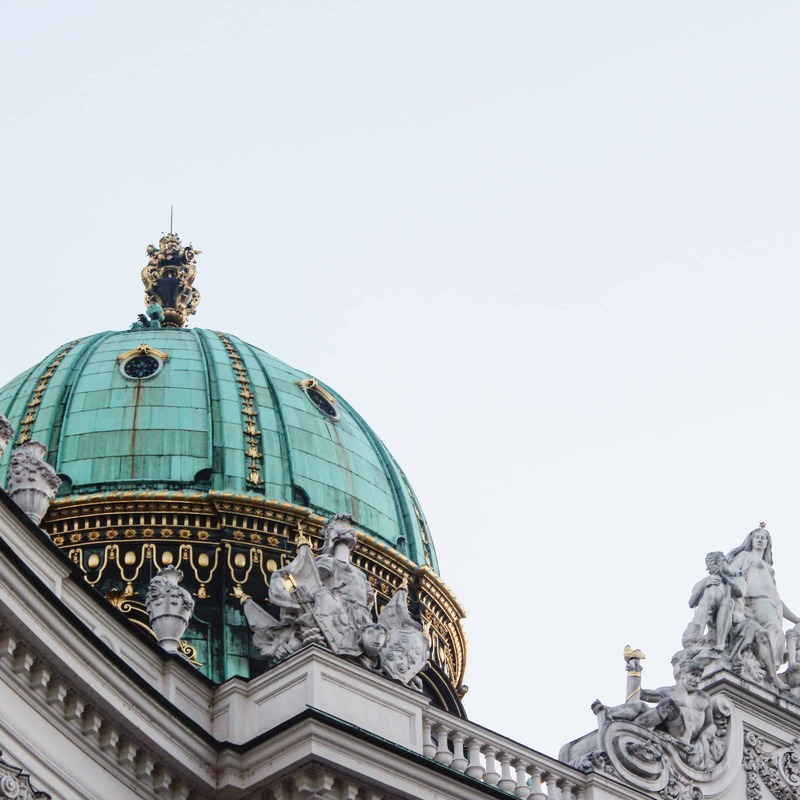 How to Take the Train From Venice to Salzburg—the Scenic Route! 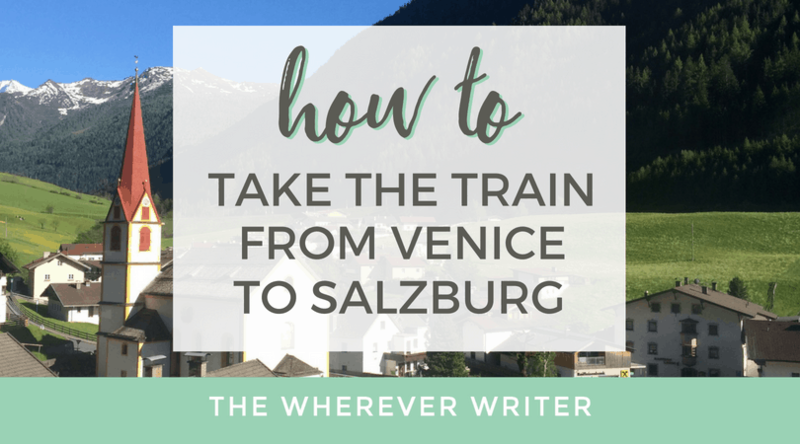 Previous article How to Take the Train From Venice to Salzburg—the Scenic Route!